Courtesy of the Great Northern Railway Historical Society. 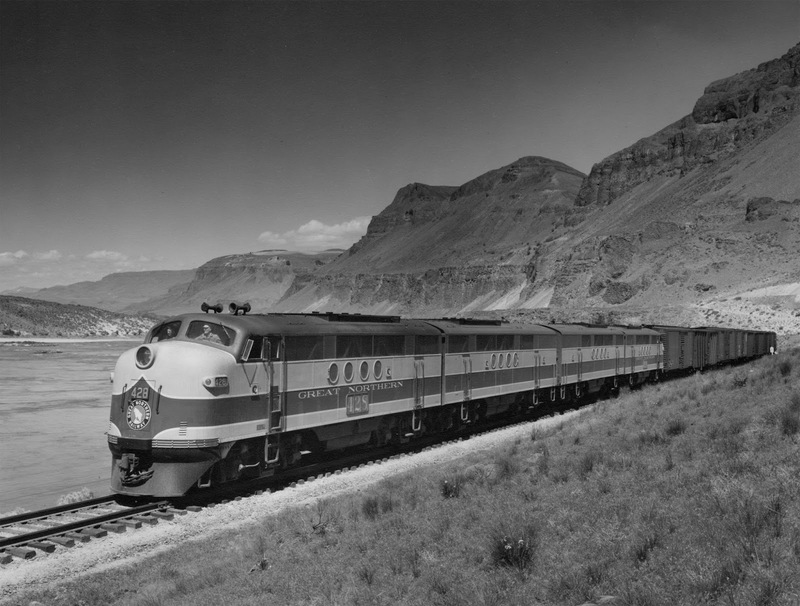 This Great Northern Railway publicity photo, probably about 1945 when this locomotive was built, was taken just downstream of Rock Island Dam. The end of the train is probably still in Tunnel 12, which was made into an open cut a few years later. You can see the scar on the hillside above the last boxcar for the highway. Note that the train is not moving, so the photographer can get a good shot; the engineer and fireman would not be standing in the window if the train was moving.